Today women make up just 11% of movie directors, 7% of cinematographers, and 14% of screenwriters. But that’s changing. 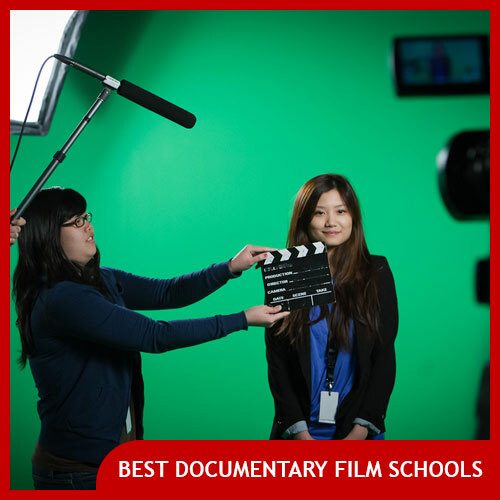 Every year a new generation of female filmmakers presses the record button for the first time. It’s time to speak out and stand up for the future we want to see: the future of film is female! These feminist t-shirts stand up for all the under-represented women working behind the scenes in the film industry today. Available in black, olive green, and purple colors (sizes are available for women, men, and youth). This shirt, like all the shirts on this list, is 100% cotton and stitched in a lightweight classic fit style. This shirt proudly forecasts the future of the filmmaking industry. It’s a play on the popular slogan “the future is female” which you may have seen. The text style for this film shirt matches the same familiar type of impact labels that are sometimes used on film sets. This t-shirt celebrates the shift we all hope to see in the film industry: more opportunities for women filmmakers and creatives to work on movies and television. This feminist filmmaker T-shirt is available in both women’s and men’s sizes in black only. Also available as a hoodie. For too long, the phrase “like a girl” has been negative. 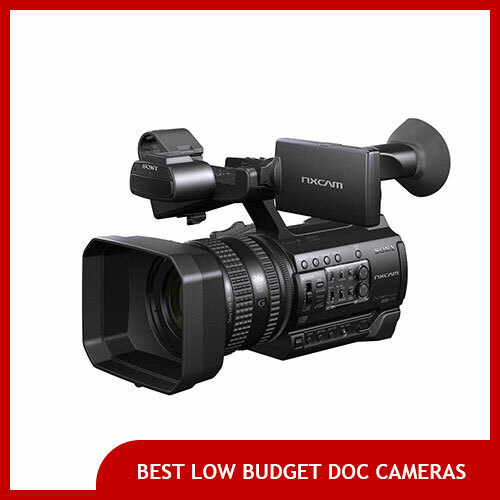 But today there are more women cinematographers than ever, and they’re quite talented! Support women in the camera department with this #FemaleFilmmakerFriday shirt. Their hard work and determination bring nuance and brilliant stories and visuals to our screens. This is also a fantastic shirt for directors and other lady indie filmmakers. Available in both men’s, women’s, and youth shirts in black, navy, baby blue, brown, & pink colors. Women in Film, Unite! That’s the message of this proud feminist filmmaker shirt. Women are becoming more and more represented in the film industry every year but there’s still a long way to go. With every passing decade, there are more and more female filmmakers working in all kinds of positions: women screenwriters, female directors, women editors, and female gaffers, and more. 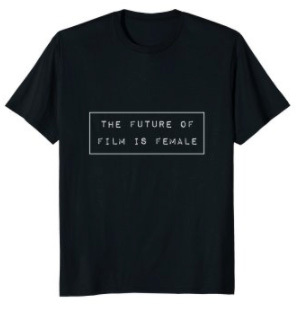 Whether you’re a female filmmaker or not, you can help increase visibility and show your support women filmmakers with this shirt. 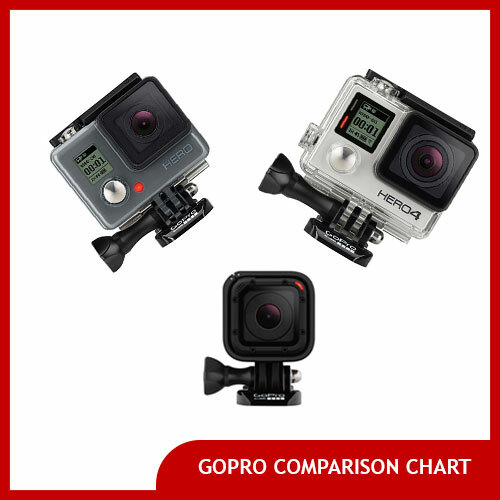 Available in black, purple, and slate gray (sizes are available for women, men, and youth). Also available as a hoodie for chilly weather. 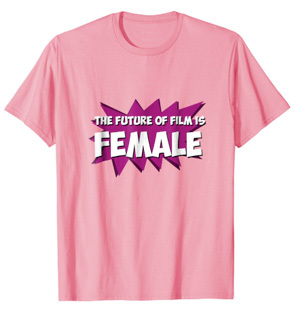 Here’s another great shirt proclaiming “The Future of Film is Female.” This female filmmaker t-shirt is available in both men’s and women’s sizes in baby blue, yellow and pink. Whether you’re a woman filmmaker or a male ally or a fan, encouraging women in film is a great message to promote. 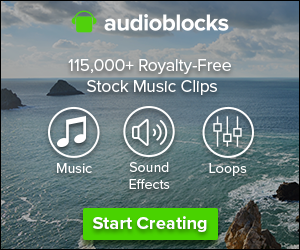 This is a great gift for women who already work professionally in the film industry, women who make documentary films, women in film school, and more. Also available as a hoodie. 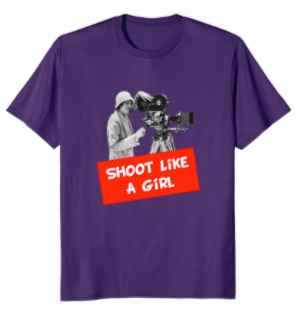 If you know a young woman or teen who dreams of making movies or working behind the scenes, this is the shirt for her. 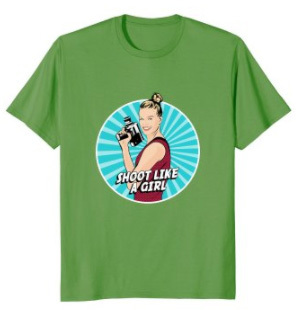 It’s a great tee shirt gift for aspiring young filmmakers and girls who want to work in Hollywood. Available in women’s, men’s, and youth sizes in black, navy, brown, pink, and purple. Same message with a bold illustration to match. Yes, the future of film is female! And you can proudly show your dreams or your support of women filmmakers with this comfy and freshly designed t-shirt. Comes in men’s, women’s, and youth sizes in black, navy, brown, pink, and purple.